The NovAtel Smart-6L series GNSS receivers has a 14 pin Tyco Ampseal connector. In that connector are pins for power, three serial ports, and some other things. 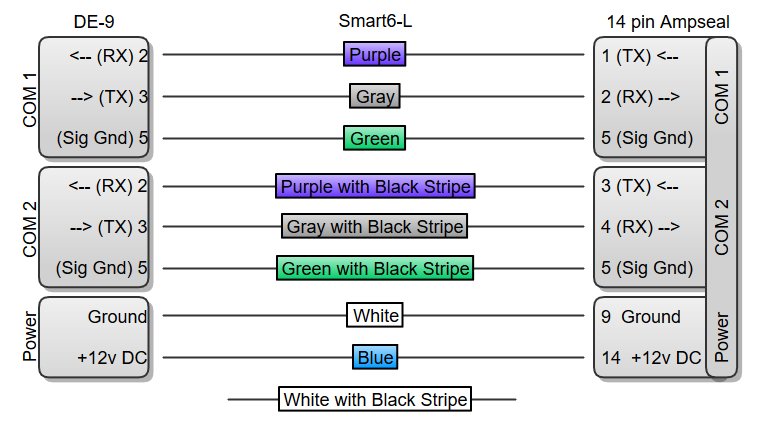 I use the following color scheme for conductors when building a data cable using 9 conductor speed wire. The white wire is covered by red heat-shrink tube, and the blue wire covered by black heat-shrink tube.